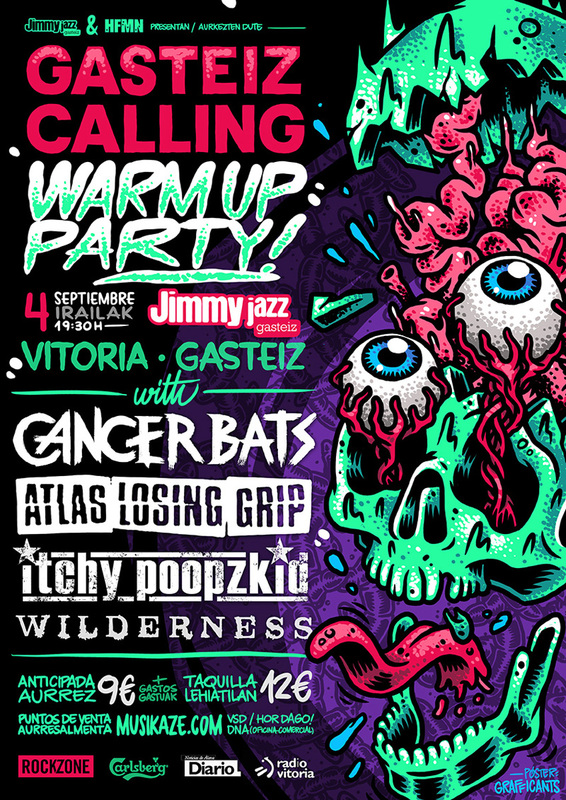 Gasteiz Calling 2015 – Poster for the 1st edition of the Gateiz Calling Festival in Vitoria-Gasteiz. 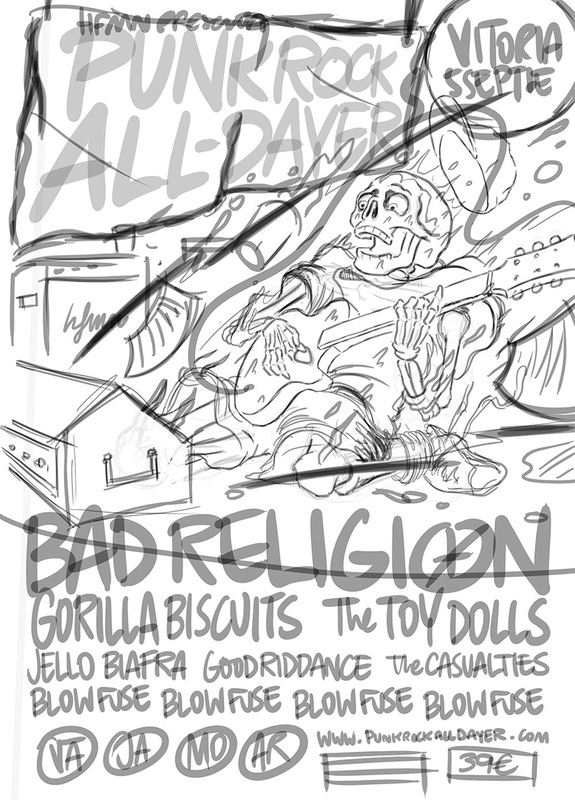 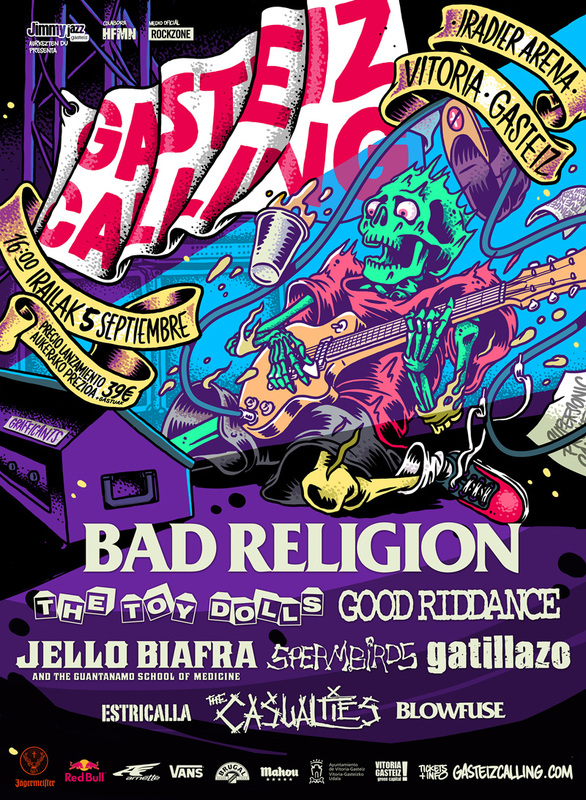 This year featuring Bad Religion, The Toy Dolls, Good Riddance, Jello Biafra, Gatillazo, Estricalla, The Casualties and Blowfuse. 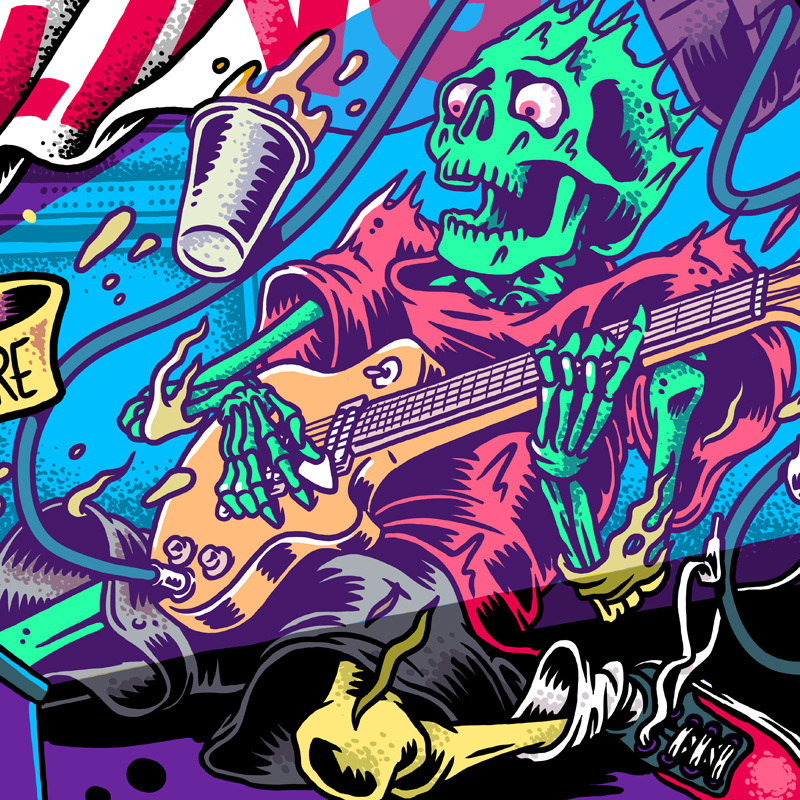 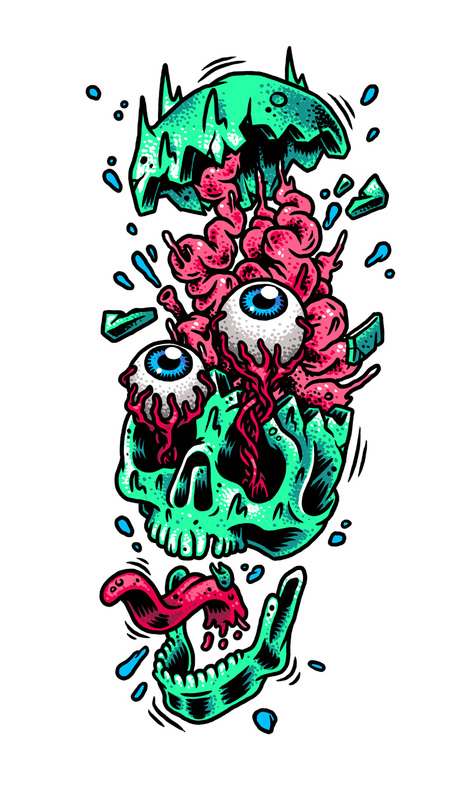 Plus a pre-festival gigposter featuring Cancer Bats, Atlas Losing Grip, Itchy Poopzkid and Wilderness.